Enterprise Resource Planning is considered one of the older segments of the business software landscape, however, despite its longstanding place in businesses, ERP software is far from being a dormant area of technology. In the ERP industry, new ideas are being developed by consistently evolving vendors such as Oracle that promise to further improve the way businesses operate through innovations such as the introduction of new vendor delivery models which boast frequent ERP application releases and continuous improvement opportunities. As the go-to-partner for Oracle ERP Cloud, Oracle E-Business Suite and JD Edwards, Version 1 has supported enterprise organisations for over 20 years in utilising core ERP systems to streamline processes, to not only change the way organisations are run but also how efficiently they run. In the following article, Ken MacMahon, Head of Oracle Cloud Services at Version 1 shares the most significant ERP modernisation trends that have been emerging from Version 1 enterprise customers across the UK and Ireland for 2018. ERP Software is at the core of enterprise organisations and the landscape of Enterprise Resource Planning has transformed greatly with the arrival of the Cloud to ERP, a change that has significantly ramped up the pace of innovation in the industry. One such significant change is the fact that the effort required to upgrade ERP systems on-premise ten years ago was high, and for enterprise organisations embracing Cloud ERP going forward, major upgrades will be replaced by smaller continuous improvement upgrades released by vendors. This means that functionality will continue to be made available by ERP SaaS providers as they evolve – they engineer and invest in these solutions, so ERP Cloud customers won’t need to do so themselves to access new functionality down the line and they can focus on their core business. This cycle will reduce upgrade costs significantly, particularly around areas such project implementation and BAU support. While some enterprise organisations fully transition their ERP to the Cloud, each business has different requirements and might select a hybrid solution which combines Cloud ERP solution with on-premise systems, for example, a customer may implement some new components of Oracle ERP Cloud Release 13 (SaaS) while maintaining elements of Oracle E-Business Suite On-Premise (or on Cloud IaaS). Whether an organisation is ready to undertake the move to ERP Cloud at this point in time, or is currently in the process of an on-premise upgrade, things are all heading in one direction; towards the Cloud. 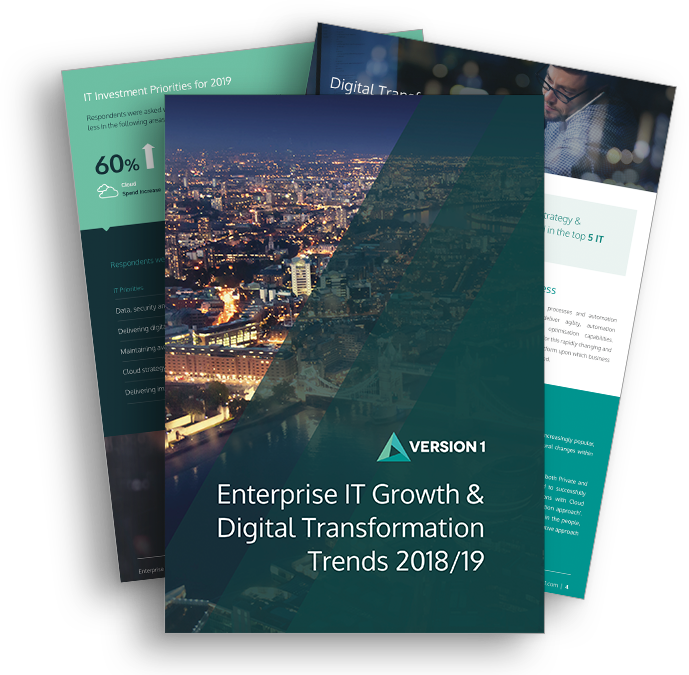 Our advice is that every organisation should consider the implications of ERP moving to the Cloud, if not for their short-term upgrade plans, it should be in their long-term plans as there are implications to plan ahead for. While the Cloud benefits are abundant, the move is not without implications and planning ahead will equip organisations to make the move more efficiently down the line if implications such as working to the SaaS provider’s timeline for updates, managing security, risk and operations in the Cloud are considered sooner rather than later. In today’s digital world, workers rely on mobile devices such as smartphones, tablets and laptops to make it possible to work on the road and as a result, Mobile ERP strategies are rapidly beginning to take form in the large enterprise space. As portable devices are making both personal and professional tasks easier day to day, businesses are expecting to consume and interact with ERP the way they do with mobile technology. This means ERP must allow interaction in a similar manner to other day to day applications users have e.g. mobile banking, email, social, etc. Many organisations are now choosing to use mobile devices to take advantage of business capabilities and insights, allowing workers to stay connected and responsive while they are away from their desktop computers. ERP technology is adapting to meet the mobile needs of employees, enabling them perform tasks such as reviewing expenses, recording time to day-to-day work e.g. service calls for service engineers, reviewing financial performance on the go, etc. The main business benefit of Mobile ERP for organisations is the ability for employees to retrieve information on the go and make timely decisions. Furthermore, it allows for greater engagement with employees as an extension of HR; particularly with those who are on the road part-time or full-time. The GDPR countdown has begun. GDPR was adopted by the European Parliament in April of 2016 and the final text published in May 2016. We are now coming swiftly to the end of a two year grace period after which the GDPR will be fully enforceable throughout the European Union on May 25th 2018. Many enterprise organisations are still bracing for the impact of GDPR on their ERP systems, however, now is the time to act before the May deadline. Data retention and the processes for future data collection are the focal point for the majority of enterprise customers preparing ERP systems. The number of high profile data breaches and organisational data protection failures is increasing and this is becoming a key driver in future state enterprise architectures and technology roadmaps. All organisations which capture, store and manage data about European Union citizens need to conform to and abide by a range of data protection regulations and governance procedures and evidence to a required level of traceability that this compliance has been achieved. It’s extremely important to be aware of what data is legal and illegal to store after May 2018 including customer data, associated customer data (it may not mention the customer, but personal identifiers may be present). The GDPR compliance also extends to internal and employee data stored should demands for personal data arise. Risk Compliance has been and remains an ongoing driving force for many organisations to upgrade their ERP from legacy or out-of-support systems. It has become one of crucial importance for businesses to address as an out of support ERP system cannot guarantee factors such as security, accuracy of information or segregation of duties. Legacy and out-of-support systems become a burden for the business as the constant issue around audit and risk reported to board on continuity of solution if issues arise e.g. lack of technical skills, technical infrastructure, and mitigation for known issues or bugs. The right time to invest in an upgrade continues to be a worry on the minds of many financial executives, so what keeps businesses from making the move to upgrade? Understandably, many organisations considering their options tend to fear retraining costs, a loss of history, the requirement to test and design a new solution and generally would have a fear of the unknown if they were to leave their current system behind. This however does not have to be the case and discussing these concerns with a specialist ERP partner will make the road to upgrading or migrating much smoother. Version 1 specialises in supporting customers with highly customised and complex ERP systems, please feel free to reach out for support from a Version 1 consultant for guidance if risk compliance is of concern to your organisation. Sign-off on ERP implementations and upgrades can often be a challenge taken on by senior business leaders such as CIOs and CFOs to pitch to senior management. This is an area where Version 1 saw a significant increase in a demand for consultancy in the past year. The reason for this demand in consultancy is that business leaders can be wary of investment without seeing proof that the investment will ultimately deliver benefits to the business. As a result, business leaders seek consultancy from Version 1 to build a valid business case to justify the ERP investment. Among the most compelling business benefits for company leaders to discover would be the access to new functionality that can be gained by upgrading to a modern ERP system. Without a modern ERP system, functionality such as internet procurement, employee self-service for human resources, portals or business intelligence and customer management would be very difficult to implement or realise in a legacy ERP system without a deep technical workaround or compromising on objectives. From our experience, many companies make the decision to invest in a modern ERP system in order to access the Digital World; Mobile, Analytics, Social etc. Most of these features come natively out of the box with modern ERP vendor offerings and you do not need to build a custom or bespoke solution in your modern ERP solution signalling fewer barriers to implementation to business leaders. For more more information and to get in contact with us, click here.